To create a new growth mindset and support the transformation we train and coach leadership teams, middle management and team level using Management 3.0, Agile Leadership and Transformational Leadership. Agile leadership is about supporting teams and individuals, building networks and creating trust, these are the foundations for a Agile culture and a learning organization. Business and product development is one of our core competences, especially how to create the foundations to enable it in any environment. We partner up with the customer to drive the result and/or coach end to end business and product development, maximizing speed and innovation building new capabilities with cross functional teams and shifting to a growth mindset. Business Agility is needed to create a learning organization that is flexible and sustainable over time. This includes functions such as Finance, HR and Procurement. 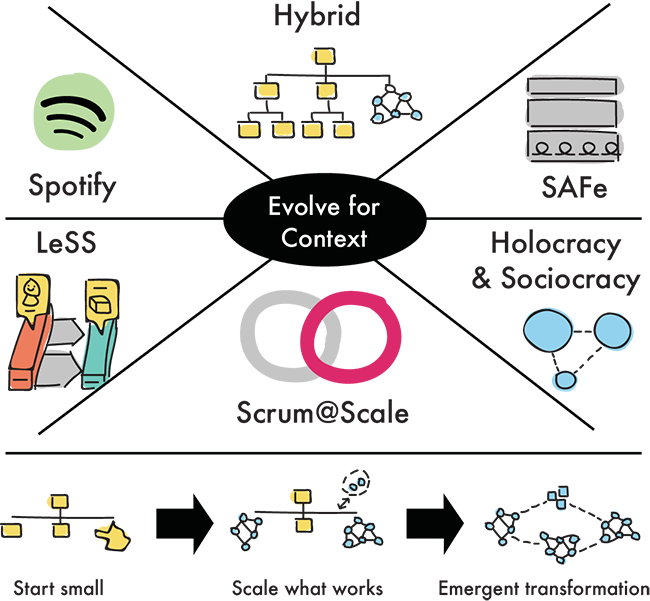 We support change in this by sharing examples of new ways of thinking and doing from other organizations and introducing practices from Beyond Budgeting, Agile HR and Agile Contracting. 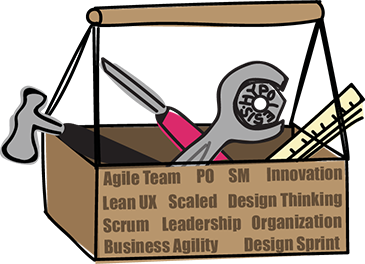 Our toolbox for delivering products and services covers Lean and Agile ways of working like Scrum and Kanban, but also customer centric design and innovation methods such as Design Thinking, Lean startup, Lean UX and Design Sprints. The Agile Mindset – values and principles by itself is a way to scale organizations and functions successfully. We support our clients in sustainable scaling with Agility based on every clients specific goals and context using valuable parts from different scaling frameworks when needed. Contact us to book a meeting and talk about how we can be your partner to support your Agile and Business transformation too. Advice – Coaching – Mentoring – Training – and Consulting. 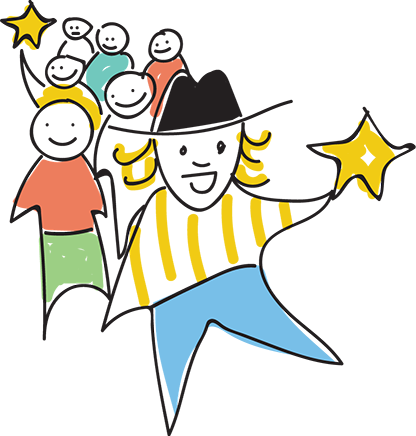 To organize around the customer journey has proven to be extremely effective in order to deliver as much value as possible, as fast as possible – and to make the customer as well as the employees feel awesome! 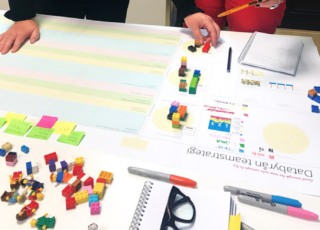 In this post we present some ideas on how to build a customer centric product organization – and Avanza presents their change journey from a slow traditional silos based organization to a cross functional team based organization where the teams feel like startups! 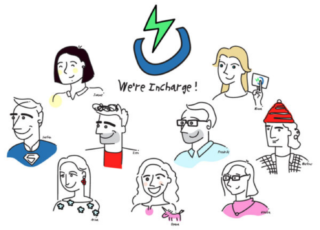 A story about how a new team got to a great start as a team and with their product discovery to be able to deliver faster and better than ever before. 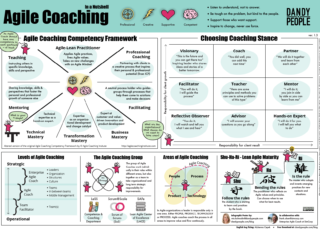 Do you have a hard time grasping what Agile Coaches do? Then this is for you 🙂 This is a visualization of what we as Agile Coaches do and what competences we have. 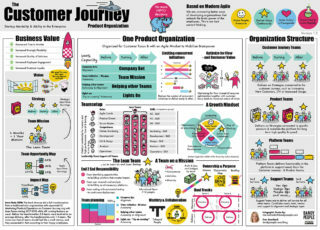 The purpose of this poster is to create a common understanding of this new role(s) and function for the rest of the organization.